The Paddle Challenge was established in 2001, and has been strongly sponsored and supported Event since the very beginning with paddlers from all levels. It has become one of the Premier Events on the Canoeing WA Annual Calendar, and is also included the Official Launch of the Avon Descent. Many Avon Descent paddlers regard the Canoeing WA Paddle Challenge as a great event to kick off their training. 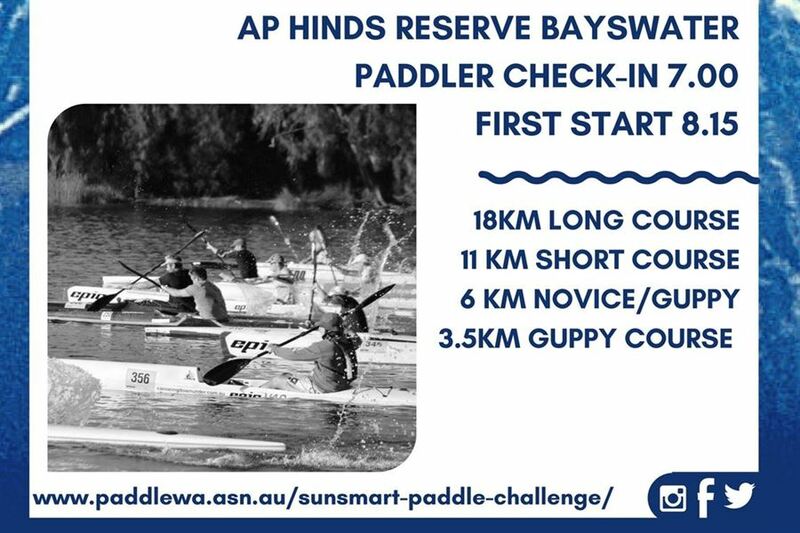 The Paddle Challenge boasts a great carnival atmosphere - in the amphitheatre-like confines of AP Hinds Reserve, Bayswater - with stalls and the like catering for families watching their friends and family in the paddle.